Tokyo Rebel: New BTSSB and A/P items! Sweet Fawn coats & capes, Usakumya mini mini and more! New BTSSB and A/P items! 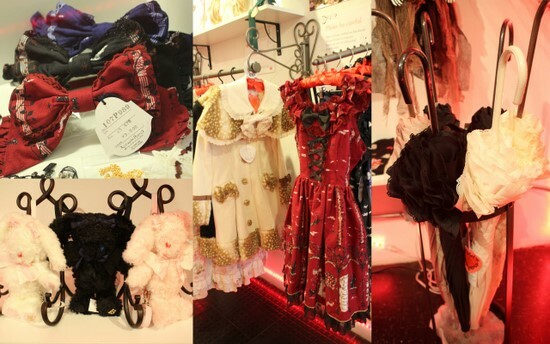 Sweet Fawn coats & capes, Usakumya mini mini and more! Today we received a bunch of new products from Baby, the Stars Shine Bright and Alice and the Pirates. Included in this shipment were many of our reserve orders for the Black Cat, the Witch and the Apple Tree series! We received all of the jumper skirts and headbows - we have not yet received either the corset skirts, socks or other items. We will let those of you who reserved those items know once we receive them! The rest of you who ordered jumper skirts and/or headbows should watch your inbox for a shipping notification later tonight or tomorrow. This was an extremely popular series and while most of it did sell out on reserve, we do still have a few items left to sell in our store! We have one JSK I in black, one JSK II in red and several headbows to match. Once we have socks, we will have some of them to sell as well. However we are not holding the JSK's to sell as sets with the socks, so if you want one of these JSK's, order it now! We also received our Usakumya mini mini rucksacks, the popular Sweet Fawn coats and capes for winter, and the new Dantalian no Shoka Darien umbrellas! These umbrellas feature an understated print that's not specific to the anime series, so you can use them even if you're not a fan of the series. We are expecting more items from Baby soon, including the rest of our Black Cat, the Witch and the Apple Tree reserve orders, so watch for that!